It's the character Garrett from the Thief series. I have never actually played the game, though! Or well, actually I did play a bit of the demo many years ago and it looked neat, but I didn't have the time to pursue it. One day! 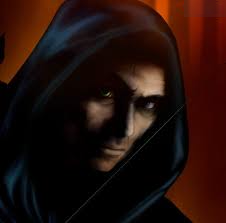 But anyway, if you search Garrett + Thief you can some great images for assassin portraits.